Vincent Tucker, President of Quality Moving Services, was born and raised in Hampton, Virginia, where he attended Bethel High School. Mr. Tucker attended Virginia State University and graduated in 1985 with a B.S. degree in Public Administration. He has attended several additional education programs such as the University of Richmond’s Robins School of Business MBE Executive Management Program, the University of Wisconsin’s Business Management Seminar held at the University of Wisconsin and the Tuck School of Business’ Building a High Performing Minority Business Program at Dartmouth College. 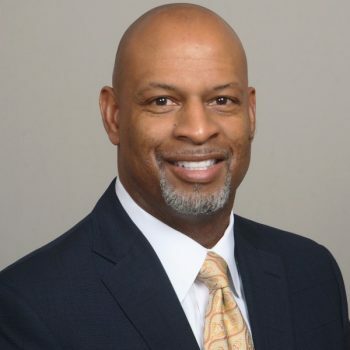 He currently serves as Chairman of the Central Regional Advisory Committee for the Carolina Virginia Minority Supplier Development Council and serves on the Board of Directors for the Central Virginia Better Business Bureau. Vincent’s career began at a young age when he began working at his family dry cleaning business and family grocery store which lead him to Food Lion, Inc., where he served as store manager. Since entrepreneurship was in his blood, he always knew he wanted to own his own business. Multiple business ideas converged into what is now Quality Moving Services, established in 1989. Quality Moving Services has provided professional relocation services throughout the state of Virginia that are dependable, honest and responsive to client’s needs for over 28 years. Quality Moving Services was awarded the MBE Class I Supplier of the Year in 2015 by the CVMSDC, QMS President, Vincent Tucker was awarded the 2013 Entrepreneur of the Year Award by VMSDC and was also awarded Vendor of the Year in 2011 by Virginia State University. QMS is a member of the Better Business Bureau with an A+ rating and has been an active member of the Metropolitan Business League (MBL) since 2012. QMS was also awarded the Outstanding Super Service Award in 2012, 2013, 2014 and 2016 from Angie’s List. Vincent Tucker is a documented descendent of William Tucker, the first African-American child born in America. The William Tucker 1624 Society, made up of descendants, has consistently made significant contributions to the City of Hampton, the state of Virginia, and areas within the United States, contributing to the cultural, social, and economic growth of local communities and nurturing children in homes, schools and churches while continuing to excel personally, professionally and academically. The Society was recognized by Governor Kaine at the Jamestown 400 Year Celebration in 2007, received a Proclamation from the City of Hampton in April 2013 and was acknowledged by Governor McAuliffe at African Arrival Day Celebration in 2016. Vincent and his wife, Shalawn, reside in Chester. He has four children, Jasmine, a Spellman College graduate and current elementary school teacher in New York City; Joshua, 18; Taylor, 13; and Savanna, 1.